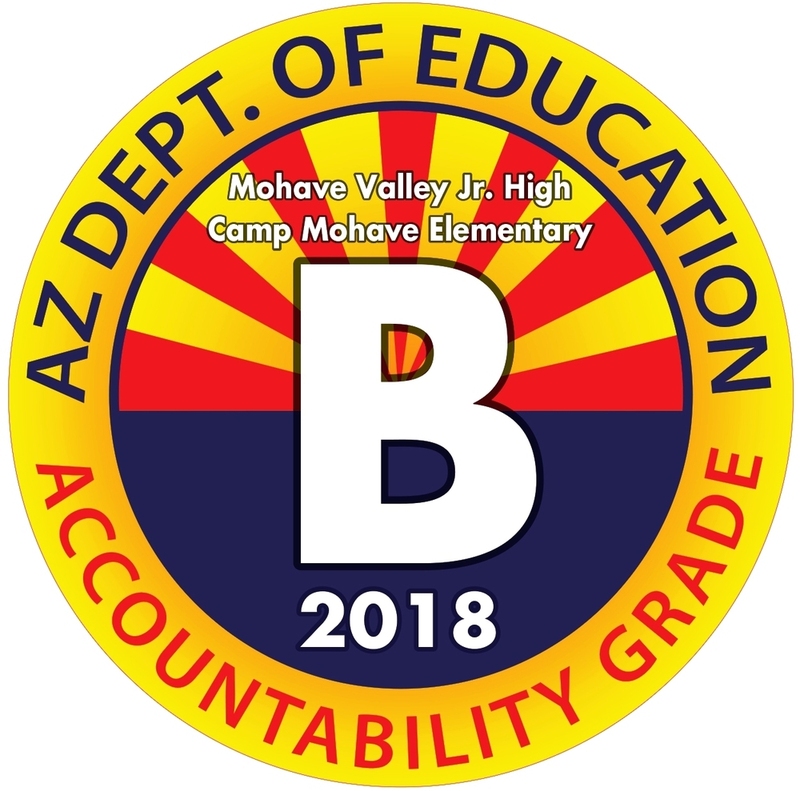 For the second year in a row, Mohave Valley Schools earned a "B" letter grade from the Arizona Department of Education. Specifically, Camp Mohave and Mohave Valley Jr. High were rated as B, while as a school that serves preschool through second grade, Fort Mojave did not receive a letter grade, due to the fact that the state's current system heavily uses AzMERIT test data, which is only offered in grades 3 through high school. Last year, Fort Mojave's staff voted to accept the Camp Mohave grade as their own, as all Fort Mojave students progress to third grade at Camp Mohave. Once the state determines how to "grade" a PK-2 school, Fort Mojave will receive their own letter grade. "Once again we are ecstatic about the B grade" noted Whitney Crow, Superintendent. "For a small, rural school district with with a transiency rate of 50%, and an estimated poverty rate of 78%, this is once again great news! Even more impressive, each school continues to grow in the number of points earned, meaning the goal of becoming "A" schools is a real possibility in the not-too-distant future." Crow contributes the continued movement forward to the hard work of the teachers, administrators, students, and staff. Crow also praised the district's voters: "Passing the budget override in 2016 is probably the single most contributing factor to our current success" commented Crow. "Better pay = quality teachers= increased student achievement."